Wielding hammers and saws is not a commonly promoted playground activity, but it's par for the course at Berlin, Germany's adventure playground, Kolle 37. 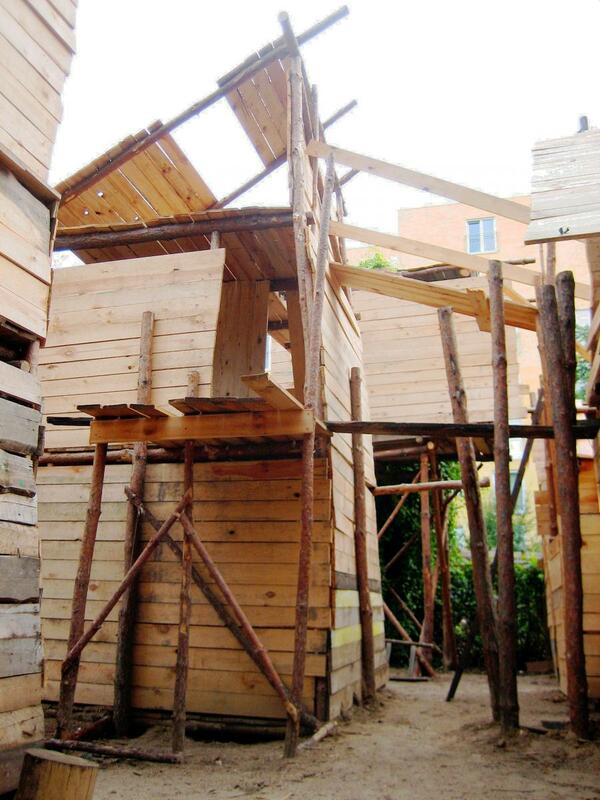 Children are given free rein to build their own forts, some as high as three stories. And parents aren't allowed! "Even if you just spend fifteen minutes watching closely, you will witness children testing their creation for sturdiness, stability and load. Testing in this fashion is how they learn. Sometimes their solutions for an overly flexible bridge or a sagging railing are not the most aesthetically pleasing or efficient material wise, but they will keep adding, shifting or changing until it feels safe." Special thanks to Alex for providing photos and bringing this playground to our attention! Click here for more photos and information. Know of an exceptionally cool playground? Got pictures? We'd love to know about it!